At NCCID, students gain the opportunity to learn hands-on skills and enhance their understanding of infectious diseases, public health systems and knowledge translation (KT). Each year, we host a number of Canadian and international students from various academic backgrounds and disciplines. Over that time, they gain practical experience in knowledge translation and mobilization, and benefit from gaining new perspectives in public health. Our Centre offers a broad range of supervision, in areas ranging from understanding research methods and strategies, epidemiology, public health systems analysis, social media strategies, website management, translating research into practice, consultation with content experts, public health stakeholder engagement and engagement, peer reviewed and grey literature. The field work I did at NCCID was connected to climate change, and so was relevant to both my personal and research interests. During this research, I learned more about mosquitos, ticks, and notifiable diseases, but most importantly, I honed my skills in finding information online, categorizing and presenting relevant data, and analyzing and summarizing these findings. I would recommend NCCID to other students. My expectations were surpassed, as I was also able to make what I thought was a positive contribution during the time I was there. The openness of the team makes it a great learning environment. I had a great experience working with the dynamic, diverse and knowledgeable team at NCCID. I have been exposed to multidisciplinary facets of public health programs and policy and the importance of bridging the gap through knowledge sharing. This experience has allowed me to develop skills in knowledge translation that I believe will be instrumental in my future career goals. I had a great experience during my internship as an International PhD student at NCCID. Within a kind environment, I learned through real-world experience how knowledge translation related to infectious diseases is conducted. I have enjoyed being a part of a collaborative team and a supportive learning environment at NCCID. Many of the projects at NCCID require ongoing collaboration and partnership with different experts and organizations nationwide. This creates a dynamic environment of learning and provides an opportunity to be challenged with new experiences with each project. Everything I have learned [at NCCID] is equally valuable in different ways for my future studies … I have used my research skills for writing papers in my studies. I have looked at Criminal Justice problems through a health science lens or vice versa. Everyone here is nice and friendly. I am learning new things about the organization. Personally, I enjoyed the fact that I learned new things which aren’t directly involved with my own field. To say I am grateful for my three-month experience at NCCID would be an understatement. I was very fortunate to be offered the opportunity to join such a warm and welcoming team. From day one, everyone was extremely supportive and went out of the way to make sure I got the most out of my practicum experience at NCCID. My preceptor Margaret gave me opportunities that I never thought I would get, and I have learned more than I ever thought I would. I was given the utmost flexibility and freedom in completing my projects, which helped strengthen my organizational and planning skills.  Students are important to the development of our mandate and NCCID’s rich learning environment includes our host academic institution, the University of Manitoba. The U of M provides an opportunity for professional staff at our Centre to share their knowledge and skills by teaching students during their placements. Students are placed with a supportive supervisor: a senior, more experienced mentor who is assigned to act as an advisor, counselor, or guide to the student. The mentor is responsible for providing support to, and feedback on, the individual in his or her charge. The role of mentor is to empower and nurture self-development.